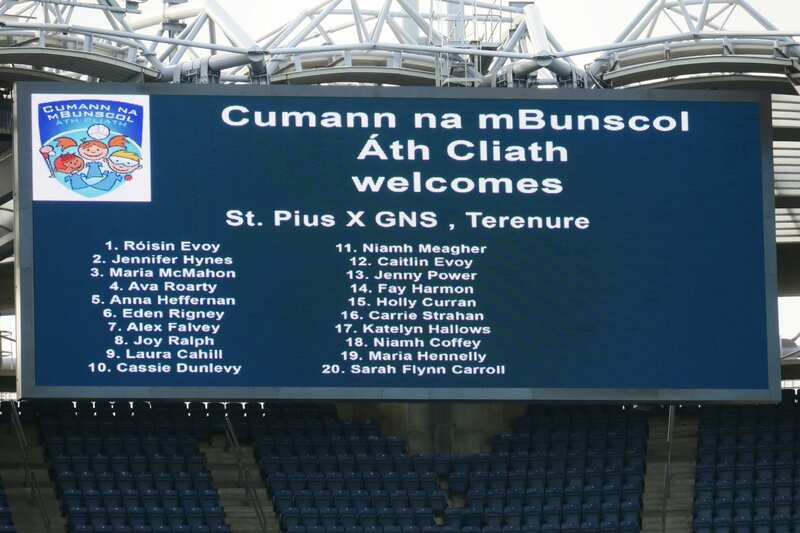 Congratulations to our Gaelic Football Team who led us to the final in Croke Park on Wednesday 9th November! There was great excitement and our school spirit was in full swing as we boarded the coaches to take us to Croker. The girls played a fantastic match but Rush N.S. took the cup with a final score of 4-1 to 1-3. We are so proud of our team for getting to the final. The team only started training in September and we feel to get to Croke Park was such a fantatstic achievement; we are bursting with pride! Thank you to Ms. Fitzgerald, Ms. Buckley and Ms. Hughes who trained the girls every week and accompanied them to matches. Their dedication and enthusiasm definitely played a factor in getting the team this far. Thank you to the parents also, who gave up their time to assist with training and lifts to and from games.